Creating unprecedented joint designs with your Fast-joint™ system has never been easier. We designed this unique joint system with matching templates. Setting up your joints is as easy as putting a router bit into the router, installing the guide bushing and setting the height of your bit. To create a joint all you have to do is install the male template on one side of the jig platform and then install the female template on the other side. The hardest part about the Fast-joint™ System is choosing what type of joint you want to make. This system has everything you need to get started making projects that will stand out above the rest. The Fast-joint™ jig system will handle stock up to 14" wide and 1/4" to 3/4" thick. Please Note: this system is designed for table mounted routers only. The Fast Joint™ Deluxe System includes everything as the Fast Joint™ Precision Joinery System with 7 additional templates making it a total of 11 templates. This will give you more choices and flexibility for building a variety of unique projects. The Fast Joint™ Master System has all 20 of the Fast-Joint Templates. Includes all the Optional and Original Templates available for the Fast Joint System. 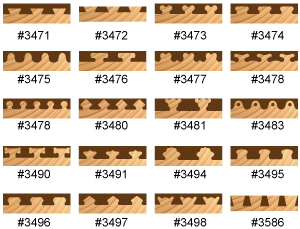 To see description of templates see below (Fast Joint Templates). Please Note: this system is designed for table mounted routers only. The Fast-joint™ jig system will handle stock up to 14" wide and 1/4" to 3/4" thick. 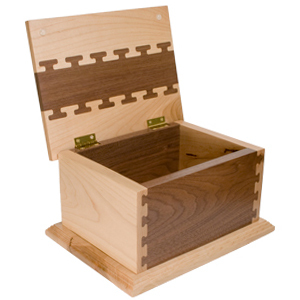 Includes: Everything from Precision Joinery System plus an additional 16 templates. Creating unique, great looking joint designs has never been easier. We designed this joint system to work with unique templates that also act as the jigs base. Setting up your joints is as easy as putting a router bit into the router, installing the guide bushing and setting the height of your bit. To setup the jig for cutting a joint all you have to do is attach the toggle clamps and alignment blocks to a precision milled acrylic template. The hardest part about the Fast-Joint mini™ System is choosing what type of joint you want to make. 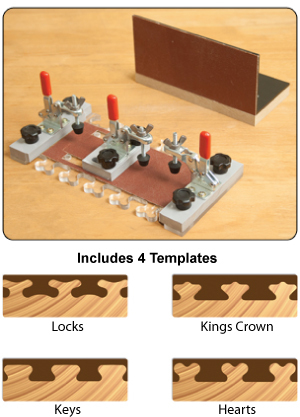 This system includes a router bit, hold down clamps and all the necessary hardware, along with four of the most popular templates. Please Note: this system is designed for table mounted routers only. 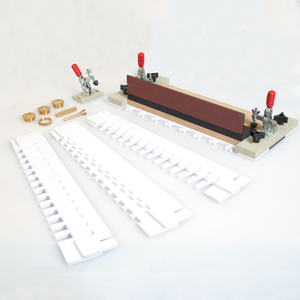 Fast- Joint mini™ jig system will handle stock up to approx. 6" wide and 1/4" to 3/4" thick. The Fast Joint Mini allows you to cut recessed joints, 3D joints, end to end and more just like the larger Fast Joint. 1 ea. Standard Fit Bushing .308 O.D. 1 ea. Tighter Fit Bushing .311 O.D. The standard and tight guide bushings are the two most commonly used bushings when using the Fast Joint system. Each bushing is clearly marked "standard" and "tight" respectively for easy identification which eliminates any guesswork. The standard bushing is used for most fast joint operations, however if you need a tighter fit on particular joints - use the "tight" bushing. The standard bushing has an opening measurement of .308 O.D. and the tight bushing has an opening measurement of .311 O.D. Have you ever had your template guide bushing vibrate loose while in the middle of a cut? With this new spring washer you won't have to worry about loosening bushings ever again. The 1- 3/16" O.D spring washer provides the perfect amount of resistance against the locking nut to keep your template guide bushing firmly locked in place. 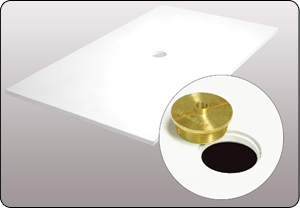 The Fast-Joint adapter plate is for routers that do not accept template guide bushings. Install the guide bushing on to the adaptor plate. With the power off, place the adaptor plate on top of your router table, center the bushing guide over your spiral bit, and clamp the adaptor plate to your router table. Now your ready to start using your fast joint system! Made from 3/8" thick PVC material, to provide durability and hold it's flatness. The adapter plate measures 16" x 24" which fits most router table top.